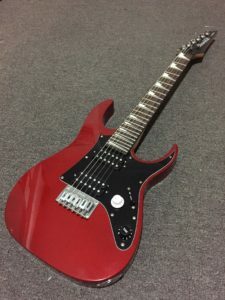 My eldest son has been very interested in playing guitar, but being that he’s six years of age and has ADHD/ODD, I’m not sure how dedicated he would be to practicing and developing on the instrument. I wasn’t too keen on buying a guitar for him yet. 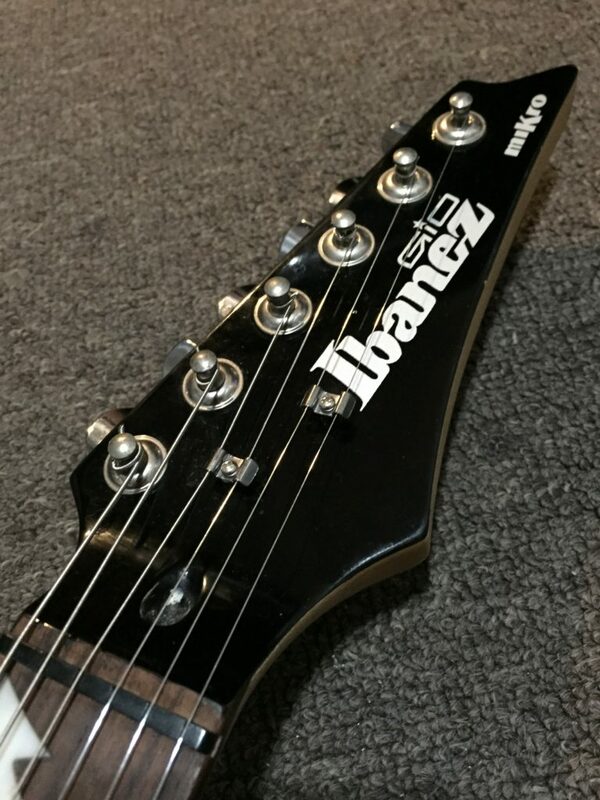 However, recently on one of the forums I frequent, a member had a Ibanez GRG M21 CA Mikro guitar up for sale. 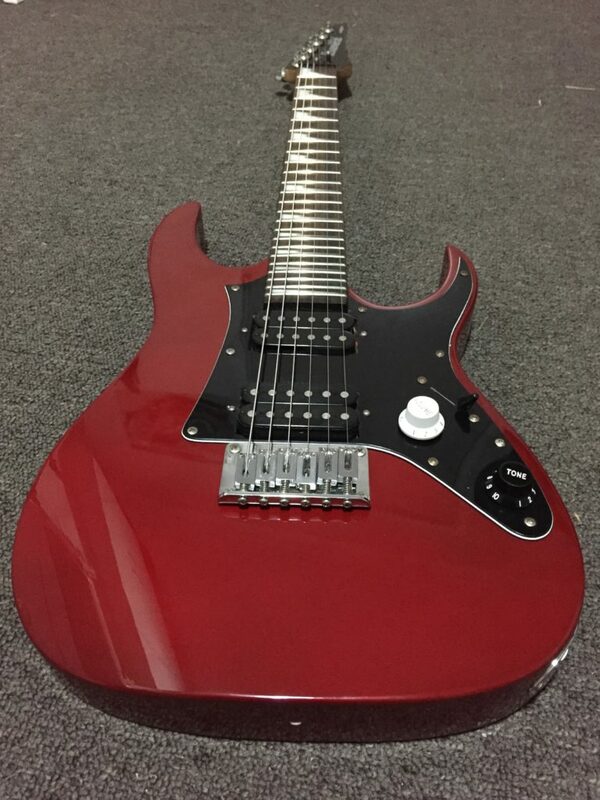 I asked if they would be interested in swapping for some pickups, and we worked out a deal that both of us were happy with. The little beastie arrived on the weekend, and after polishing the nasty looking frets and cleaning up the guitar I strung it up with some 10-46s and tuned to E standard. The guitar plays surprisingly well, and sounds pretty good acoustically too. The tuners are rubbish, but I have a spare set of Gotoh standard modern tuners that I can polish to a chrome finish, and with a re-drill of the tuner holes will fit nicely and offer far better tuning stability. I hope that he likes playing and will continue in Dad’s footsteps, but we’ll just have to see how he goes. Here it is after it’s cleanup. I need some strap pins as well, but that isn’t crucial right now.